Sustainable infrastructure is a crucial element in the sustainability plan of any destination, which is why we were excited to get the chance to interview 2d DAMA’s Amine Ahlafi. Amine’s architecture firm deals with not only sustainability in design, but in urban planning and even tourism. We also hear about his involvement with the Mohammed VI Foundation and the many steps Morocco has taken to ensure that tourism develops in a responsible manner, focusing not only on implementation but planning and education as well. The importance of education in the journey towards sustainability. Amine, when did you first learn of the concept of sustainable architecture and urban design? One of the workshops I attended during my studies in architecture in the National School of Architecture of Rabat was entitled “Sens Space,” inspired mainly by the design of Sir Frank Lloyd Wright. It was my first contact with a new approach integrating nature and the man at the heart of the architectural project, while maximizing the functionality and performance of the building. This has changed my way of thinking about architecture. At that time the concept of sustainability was not used to qualify architecture. A few years later, I had the chance to work for leading organizations in environmental protection and sustainability areas: The Foundation Mohammed VI for the Protection of the Environment and the international Foundation for Environmental Education. My daily tasks have thus influenced my approaches to architecture, urban design and development. In 2010, you founded 2d DAMA, an architectural and urban development consultancy focused on the use and promotion of sustainable practices. Can you tell us a bit about the agency? The agency is based on the belief that the act of planning, design, development and construction can only succeed under the banner of sustainable development. It reflects my vision of promoting sustainable development in architecture with the advice and support of several stakeholders in Morocco and abroad. Its achievements are the result of the commitment of a dedicated and motivated multidisciplinary team who shares the same values. 2d DAMA also works with sustainable tourism development projects. How did you first get involved in the tourism sector? One of our favorite areas is sustainable tourism. The inspiration comes from a combination of my previous jobs for the Ministry of Tourism and for the Mohammed VI Foundation for the Protection of the Environment. It was reinforced by my missions for 5 years as national coordinator of the international program Green Key for tourism accommodations, owned by the international Foundation for Environmental Education (FEE). We have developed proven expertise, and we continue providing technical assistance and studies for the Ministry of Tourism and some tourism operators. 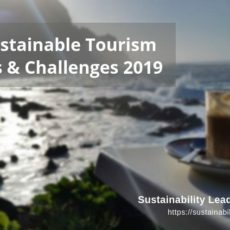 What major challenges does Morocco face in regards to sustainable development, especially as it relates to the tourism industry? I do believe the major challenge to face is environmental education and education about sustainable development. 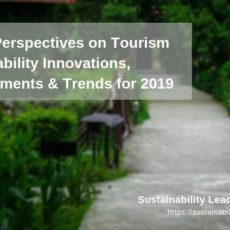 What changes have you noticed in recent years in Morocco’s approach to tourism development in regards to sustainability? The Strategic Vision Tourism 2020 clearly established the objective and the actions to be implemented in order to position Morocco in the list of top sustainable destinations. The National Confederation of Tourism has a unit dedicated to sustainable tourism,and various tourism operators have hired a sustainable development manager. 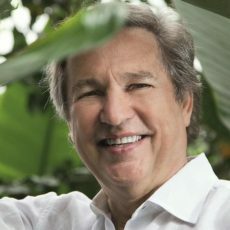 What role do/should architects and developers play in sustainable tourism planning and development at a destination level? They must integrate sustainability into all stages of the project from the planning. They should start by a value chain analysis before implementing the operational actions. They have a role to play to convince the stakeholders by showing the benefits of the sustainable tourism. 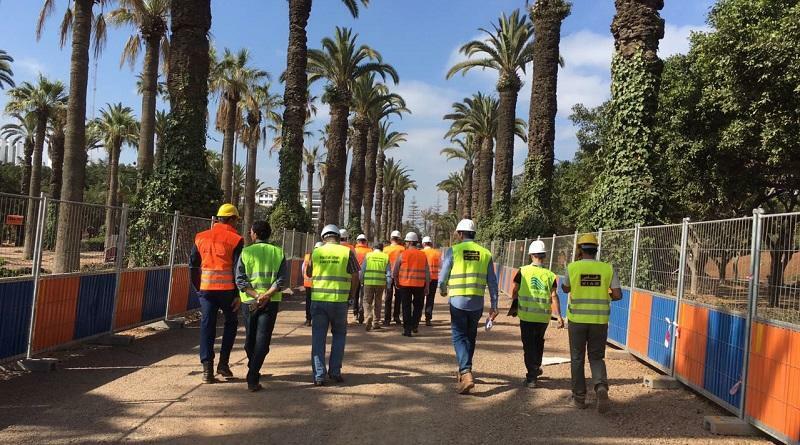 Do you think there is a successful synergy between destination managers, developers and architects in Morocco? If not, what can be done to strengthen cooperation between these stakeholders? Not yet. Fully achieving the benefits of sustainability practices can not be done in the short term and sometimes requires investment. These are perceived by tourism operators and developers as real challenges. Awareness and incentive measures could contribute to strengthen cooperation between the stakeholders. 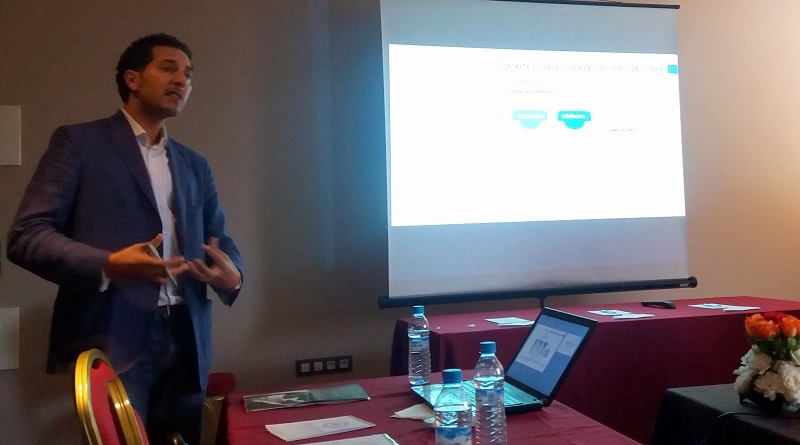 You are also a consultant at the Mohammed VI Foundation for the Protection of the Environment. Can you tell us a bit about the organization and your role there? The Foundation Mohammed VI for the Protection of the Environment is an NGO chaired by HRH Princess Lalla Hasnaa. The Foundation has placed education and awareness-raising at the heart of its mission, thus contributing to the objectives set by the summits in Rio in 1992 and 2012 and in Johannesburg in 2002 in terms of education for sustainable development, to which Morocco has subscribed. Several programs and projects were initiated including: Clean Beaches, environmental education and awareness, Flowering Cities,Voluntary Carbon offset, and Qualit’Air. These successfully implemented programs are based on environmental education, coastal protection, responsible tourism, restoration of historic gardens and the preservation and development of palm groves and oases. The Foundation is the Moroccan representative of the international Foundation for Environmental Education. I am proud to work as an advisor and consultant for the foundation and to contribute to the implementation of several programs and projects. I used to be the national coordinator for the Blue Flag and Green Key programs, and now I am chairing the technical committee for developing the first Environmental Education Center in the country. Of the projects and initiatives you have been a part of over the last 6 years, which are you most proud of? I am also very proud to be nominated Vice President of FEE. Learn more about the Mohammed VI Foundation on their website or contact Amine directly via LinkedIn. Enjoyed our interview with Amine Ahlafi on sustainability in architecture and sustainable development initiatives in Morocco? Share and spread the word!